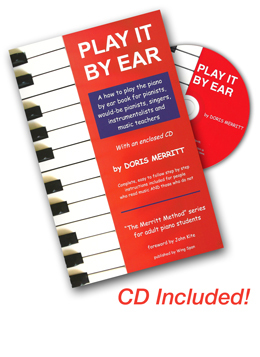 Over the course of her years of teaching, Doris has discovered a number of unique approaches to piano instruction, which have been drawn from (and validated with) her experience with many hundreds of students and their individual challenges and triumphs. She's called the result "The Merritt Method". How to provide harmony for the song. 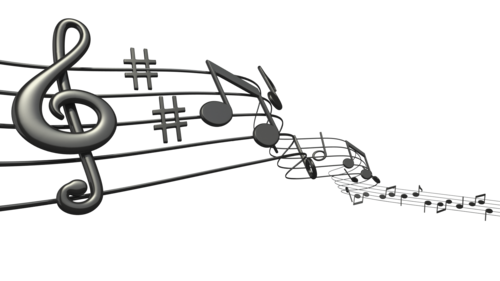 Play it by Ear makes a great gift idea for someone who has always wanted to play the piano by ear; for holidays, birthdays, graduation gifts, or just to say “thinking of you” or “thank you” to someone on your list of favorite people who has a love for the piano. And, of course, it could be an especially pleasing gift for yourself. You can’t do it any younger—so do it now! Play it by Ear is available through Amazon.com, Paypal.com or directly from Doris. If ordered directly through Doris, the price is just $20 per copy (including the CD), and includes applicable sales tax and shipping to addresses in the continental US. For quantity orders of 20 copies or more, Doris offers a 20% discount. Use the books as a fund raiser, sell the books in your organization, or to your own students.